Honor Mobiles from Huawei the famous global brand has launched its new premium flagship smartphone Honor 8 in India. 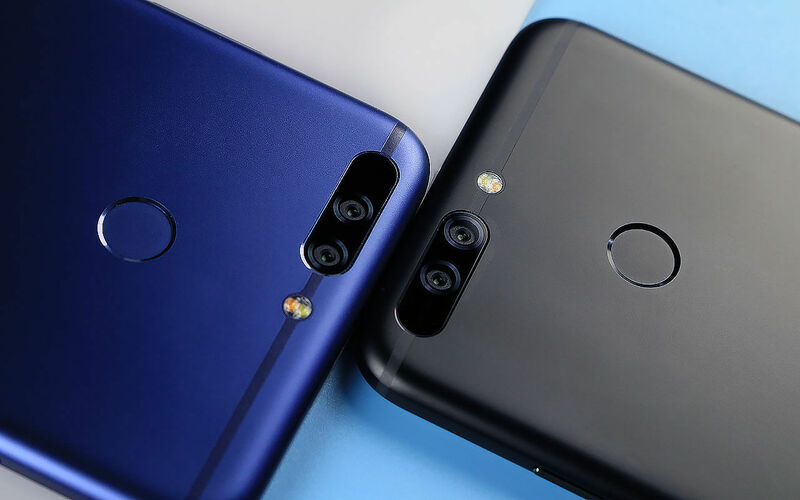 Continuing its Dual Cam Technology the company launched the latest Honor 8 Pro with dual rear camera again. With launch of the device the Honor also set a benchmark that it can compete with any other global brand. This latest flagship smartphone is a suberb device with latest features – software and powerful hardware as well. Honor 8 Pro has 5.7 inch size with full metal build quality. Breaking boundaries of HD & FHD display Honor 8 Pro comes with Crystal clear at 2560x1440 2K Quad HD LTPS display with amazing 515ppi screen resolution with Corning Gorilla Glass 3 protection on top of it. It is Multi touch technology based touch sensitive screen. Honor uses its own latest powerful processor in this flagship smartphone named Huawei Kirin 960. Its has an Octacore with 4 cores works at CortexA53 1.8Ghz and other 4 cores with CortexA73 2.4Ghz. The device also powered with latest & powerful GPU as well that is Mali-G71 MP8. It seems to be a superfast device for surfing, networking, fast 3D gaming and video experience. It also an ample of storage to store lots of games - apps - photos - videos and user data on its storage. It has 6GB of LPDDR 4 RAM that is also latest version of RAM it is coupled with an ample of storage of 128GB that is also can be enhanced to more 128GB of storage via a MicroSD Card through its second Hybrid Sim Slot. This device comes out of the box running over Google’s latest Operating System Android Nougat v.7.0 with a touch of Honor’s own user interface EMUI v.5.1 that is also a latest version of its UI. It equips Dual rear AF/Laser Focus + Contrast Focus camera on its back 12MP plus 12MP with Dual color temperature LED flash and an 8MP camera on its front. Its 4th Generation Dual camera is capable to click pictures at 3968x2976 pixel resolution. And can capture 4K videos @30 frames per second and 1080p FHD videos @60 frames per second. Front fast focusing camera also capable to take sharp smooth images and crystal clear videos. It can take pictures @3264x2448 pixel resolution and video quality of 1080p @30 frames per second. Camera Modes included in it Wider Aperture, Light Painting, Watermark, Super Night Mode, Panorama, HDR, Slow Motion, Beauty Mode, Beauty Video, Capture Smiles, Audio Note, Voice Activated Shooting, Ultra Snapshot etc. Other modes are Eye-Comfort Mode and Do Not Disturb Mode. Sensors available in the Honor 8 Pro device are Ambient Light Sensor, Digital Compass Sensor, Fingerprint Sensor, Gravity Sensor, Gyroscopes Sensor, Hall Sensor, Infrared Sensor, Proximity Sensor and Status Indicator. Honor 8 Pro supports 2G-3G & both latest TD-LTE & FDD-LTE Bands of 4G Network. It has Latest version of Bluetooth 4.2, Wifi 802.11 a/b/g/n/ac, 2.4G/5G, Wifi Hotspot, NFC, GPS – AGPS, GLONASS, BeiDou Navigation Satellite System, GPRS & EDGE for network support. Ports available in the device are 1 USB Type ‘C’ version 2.0 with fast charging support. 3.5mm Audio Jack. First Sim Slot Dedicated – Nano Sim Slot and Second is a Hybrid Sim Slot which either can be used as Sim Slot or MicroSD Card Slot. And I think it also has a new feature that user can define the Primary Sim Card that means it may be changed the Sim slot 1 or 2 as Primary Sim Slot. This smartphone features 3 Microphones with noise cancellation. It also has Audio Noise Cancellation, HD Voice +, Audio bitrate equals 24bit@192k. Honor 8 Pro packs a 4000mAh Powerful non-removable Battery. It has fast charging feature with 9volts – 2amp. Fast charging power adaptor that comes inbox. According to company it takes approximately 1hour 50minutes to take full charge. It provides 16hours talk time with standby upto 453hrs. This handset has VR Cardboard crafted into its packing box. OpenGL VULKAN API for 3D Gaming experience. It comes with Artificial Intelligence Technology. GoPro Quik, JAUNT and In-Built Phone Manager feature is given in it to help App Lock, Twin Apps, Permissions, Device Virus Scanning and App Drawer etc. Honor partnerships with Amazon, Gameloft, GoPro, Jaunt VR and Deep Silver Fishlabs to enrich digital lifestyles through enhanced smartphone experiences. It is also has a competitive price tag to compete with other latest devices from other brands available in the market like OnePlus, Apple, Samsung and HTC. It can give a tough competition to HTC U11, OnePlus 5 like devices. Launch price is Rs.29,999/- It may have some launch offers on sale. It is launched for exclusive online sale on www.amazon.in and sale will start on 10thJuly at 6PM.